7 stores total: 5 in Santa Cruz County, 1 in San Mateo County, and 1 in Santa Clara County. New Leaf Market strongly encourages manufacturers of products making non-GMO claims to have their products verified by the Non-GMO Project. The store also encourages the suppliers of non-organic products that contain ingredients likely to be GMO to switch to either organic or non-GMO verified ingredients. New Leaf Market is in regular contact with manufacturers to verify non-GMO status of ingredients of any products the store has questions about. New Leaf Community Market actively seeks non-GMO products to replace or add to the store’s product selection. The market prefers to work with manufacturers in sourcing GMO-free ingredients for their products rather than banning all products that may contain GMOs. Buyer pressure has resulted in several brands substituting ingredients to make their products GMO-free. All products on the store’s shelves that are genetically engineered must be labeled as such by 2018. Roughly 3000 products (about 1/3 of the packaged products) have Non GMO Project tags. 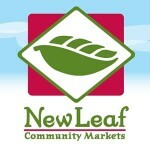 New Leaf Community Markets are Non-GMO Project Participating Retailers. The store donated more than $8,500 to support Prop 37, the California ballot initiative to label GMOs.